DAILY SCRIPTURE READINGS: I have provided daily readings that both follow Jesus' journey to the Cross and offer other related passages. 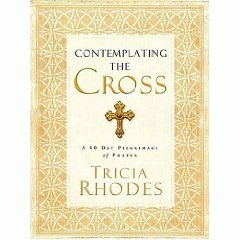 These correspond to the daily Scriptures from Contemplating the Cross. Click here for a daily guide. GET THE BOOK: If you haven't already, please order the book. It includes forty days of narratives based on Scripture and historical research, plus reflections designed to take you deep into the heart of Jesus as he travels his final hours. You can order from Amazon by clicking on image to the left. FORM A GROUP: ​There is a great guide in the back of the book for groups of all sizes (large studies, families, small groups) that provides weekly templates to share what God is doing in you through this journey. ​ENGAGE ON FACEBOOK: Join me on facebook (click here) where we can share our reflections, ask questions, and encourage each other through the Lenten season. CHOOSE YOUR PRACTICE/PLAN: Lent is a season for focus, a time to let go of some things and press into others. Many people choose to fast during this time and there are many ways you can do so. Click here for a Lenten Fast Guide. SIGN UP FOR SPECIAL RESOURCES: If you aren't already on my mailing list, sign up by clicking here to receive periodic Lenten videos, tips on Lenten practices such as fasting and repentance, and some inspiring memes to share.